Organic installs are hugely important for mobile app marketers. For the average app, they comprise 70-80% of all your installs, and they can be among your most valuable installs in terms of life-time value, user engagement, and customer life-cycle. While they’re seldom “free” -- everything you do to incentivize, encourage, and promote organic installs has a cost -- they can be significantly cheaper than paid install campaigns. App publishers can realistically expect a 20% lift in organic downloads via app store optimization, and can in some cases double or even triple their organic downloads. * Gain new methods for generating demand for your mobile content. 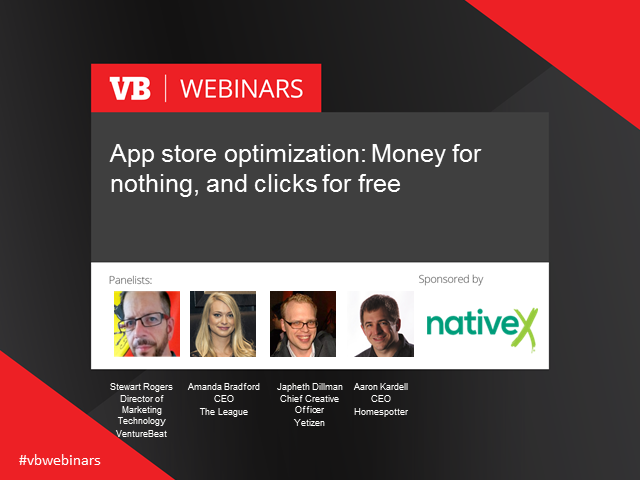 This editorial Insight webinar is sponsored by NativeX. The sponsor has no input on the report findings or panel discussion.